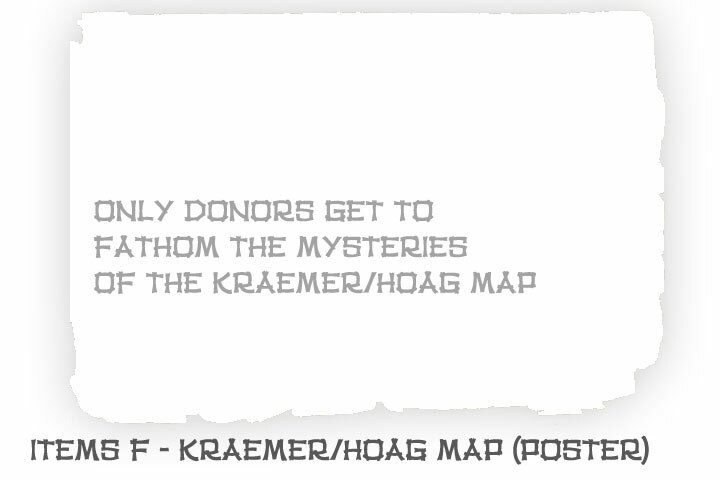 1,098 backers pledged $79,443 to help bring this project to life. The Horror In Clay LIVES! Thanks to all of you, Horror Fans and Tikiphiles and readers and fans of all stripes, all over the world, this project has been successful. 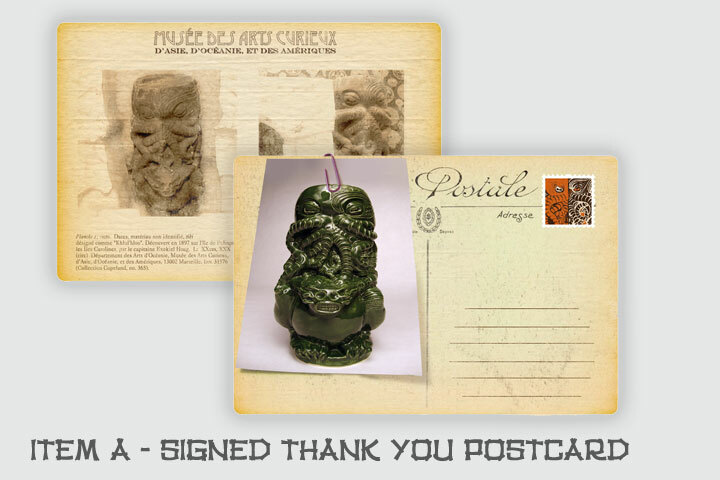 Now I'm going to buckle down and start getting you what I promised; a gorgeous eldritch tiki mug and ephemera. I will continue to post updates through the manufacturing and shipping process. The Horror In Clay is a large tiki mug, inspired by my love of the works of H.P. Lovecraft and his Cthulhu mythos, and of the classic immersive restaurants and lounges commonly called tiki bars. The Production Edition funded by this kickstarter campaign will probably be in the 7.5in, 30oz neighborhood, and will come in a solid green glaze. The Limited Edition available at the higher donor levels (probably fewer than 20 will be made altogether) is 8 inches high with a 3 in diameter. It holds about 36oz, or 16oz of drink with ice. Both tiki mug editions are food and alcohol safe; ready for you to carry them over hill and over dale, through convention hall and through regional Burn, merrily seeking dark secrets. The mug has already been commissioned, sculpted, molded, and slipcast from the final mold in a limited earthenware edition which was used to produce a bisque master and glaze tests. It is beautifully horrific. After funding is successful, the bisque master will go to the factory. Production turnaround is 90 days, so I should begin shipping these out in Oct.
For this project I want to mass produce both the physical object and the backstory or mythos surrounding it; in effect creating not just an awesome drinking vessel, but all the supporting artifacts that lend it an air of authenticity. I intend to order a production run of at least 500 of these foodsafe, monstrous mugs. As I said, I have the master completed; this project is to pre-sell enough of these bad boys to recoup all of the R&D and mold-making costs, have the run produced and shipped, and of course to make the rewards and pay relevant fees, etc. As incentive, the rewards are not just cunning bits of practical design (matchbooks and the like), but all of the rewards house clues and hints about the origin of the mug and the idol on which it is based. 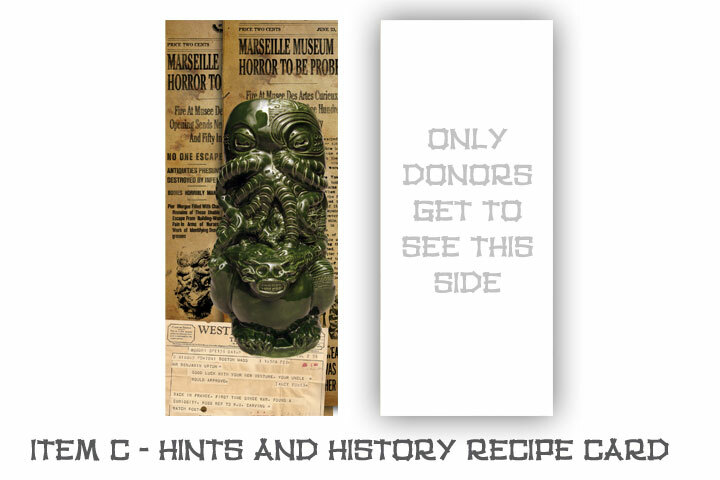 A lifetime of tabletop RPGs and short horror fiction led me to design an entire history for the Horror In Clay tiki mug. The tale is told through ephemera, coasters, and matchbooks. I even tied them into other horror works. Oh, and I have a colophon if anyone asks. I will be posting all kinds of information about creating the mug, short videos, hints about the back story, and whatever else I think of as updates through out the kickstarter, so stay tuned! (Among other things, I have the outtakes from the video shoot which are pretty funny in their own right). Really, my hope is to get these in the hands of people who will enjoy them, and maybe to eventually see one in use out in the wild somewhere. an Atlanta-area graphic designer who has lived with this project every day for about the last year, designing things, researching typefaces, (all the type for all the artifacts is historically accurate, or close), and running down production costs etc. He did things that didn't even make it into the project (The Horror in Clay skateboard sticker? The Horror In Clay tshirt? Even, help me lord, the Horror In Clay aloha shirt.) jonathanmchaffin.carbonmade.com has a brief overview of his professional work. Kristina Lucas Francis, who brought the mug to glorious, 3D life. Kristina is an exquisitely talented realist sculptor. 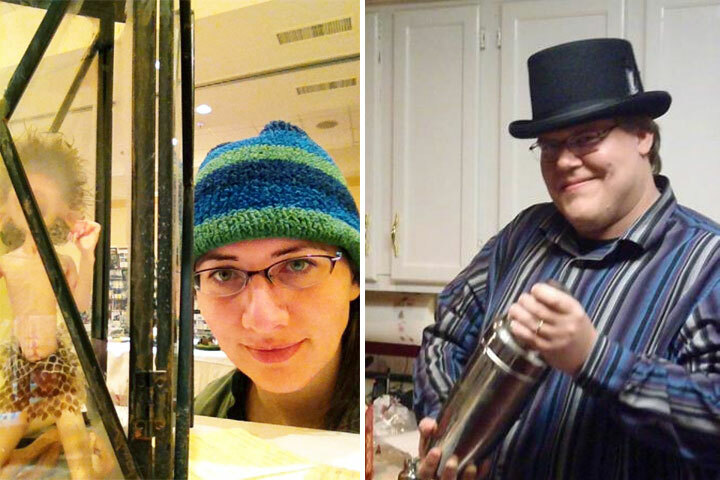 She shares a deep love of tiki and sci-fi with her husband, Paul. In addition to toy prototyping, designing, and building models for competitions and television, Kristina specializes in producing highly-detailed ceramic figures of animals. She completes the entire process herself, entirely by hand: sculpture, moldmaking, casting, cleaning, and glazing. http://www.lucasfrancisstudio.com/animalart/ Kristina will be the one casting, glazing, and firing the American limited run of mugs. They are hauntingly gorgeous. In addition to Kristina sculpting the mug, there are a few other people I'd like to thank for helping me in my work designing the ephemera. • Most of all, thank you to my wife Allison and daughter Charlotte (who loves her "khufuwoo" shirt) for their never-ending support and patience, and who are going to have to live with me in a world of boxes if this works. •To Pauli for pushing me to shut up and do this, and for producing my recorded promotional efforts. •Mike "ShadowInk" Alberghini ( http://shadowink.net/ ) for his talent behind the camera and Scarlaa (http://www.modelmayhem.com/1202278), Joe Hunt, and M.F. for their talent in front of it. •Thanks to Alex, Jamie, and Pynk for copy-editing and general cussedness. •Thanks to Carol for historical cartographic consultancy. •Thanks to the Losers Club of 1958 for helping perfect the cocktail recipe which comes with level 4. •Thanks to Lady and the Krunk for the excellent song "He Waits"; possibly the only tiki mug to have specifically inspired a blues song. • Thanks to the BookHouse Pub and anywhere else that still serves tiki drinks the right way; in a frosty ceramic mug. PATRON • A Musée des Arts Curieux catalogue entry/postcard for the "Khlûl'hloo" totem will reveals some history of this sinister artifact (Item A). Each will also be a personally signed thank you postcard from me, the project originator. Oh, my aching wrist. Future me is really going to hate past me for agreeing to this. 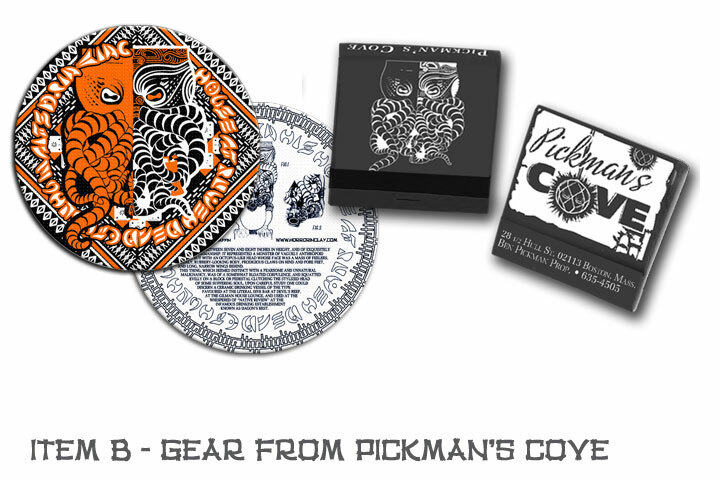 CAROUSER •Ephemeral items from the den of iniquity that reputedly spawned the original mug, Pickman's Cove. • a coaster and matchbook (Item B),each with tantalizing details about the mug's history. ***Add a note that you added a shirt (XXL HorrorInClay Tshirt). We will re-confirm when we send out the survey at the end which size or sizes you want for your T-shirt(s). ACOLYTE •1 Mass production run Cthulhu mug from HorrorInClay.com Ol' Squiddy or Cthu as we've been calling him. Sizes are approximate, as the high fire clay will shrink a bit from the master, but it should be a solid 7.5in high, 28 or more oz mug, in a foodsafe green glaze. • The thank you postcard (Item A). •2 Mass production Horror In Clay mugs! • 2 Mass production Horror In Clay mugs! •1 Limited Edition Horror In Clay mug! Hand made and retouched by Kristina in one glaze color of her choice. Numbered. •4 Mass production Horror In Clay mugs! You get 6 mugs. That's it. NOTE: THIS LEVEL COMES WITH NO SWAG OF ANY KIND. You get 8 mugs. That's it. • 4 Mass production Horror In Clay mugs, gift boxed and delivered to 4 individual recipients of your choice. •1 Limited Edition Horror In Clay mug! Hand made and retouched by Kristina in one glaze color of her choice. Numbered. A baker's dozen (13) mugs, plus matchbooks and coasters and whatever else I throw in the box. 1 uniquely unique Horror In Clay 36oz mug, glazed with lifelike detail in multiple shades to resemble a living nautiloid creature with COA by Kristina. • A bonus thing - might be a drawing, might be a letter, might be production image. NO idea.